February 2014: Tips eNews & More! Do you have Olympic fever? 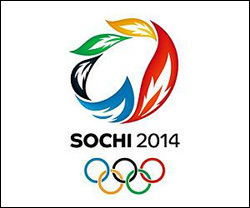 The Sochi 2014 Winter Olympic Games are finally here. We are all excited to cheer for our Canadian athletes as they go for gold. Go Canada Go! Are you feeling the chill of the season? We say embrace it! Take advantage of Family Day on the 17th and get outside! Ski, skate, or just put on some snow pants and play in the snow! The cold isn’t going away anytime soon (despite what some groundhogs may say), so why not enjoy it? Be sure to bundle up and layer yourself well, you don’t want to catch a cold. We are always looking for ways to serve you better. Please take a moment to complete our short (5 question) survey and help us continue to strive for excellence in 2014. The out of sight out of mind mentality towards missing teeth is often a huge mistake. As you know, missing teeth can cause far more than aesthetic displeasure. Missing teeth can allow adjacent teeth to shift, bone loss in the jaw increases the appearance of aging, and spaces increase the opportunity for decay and periodontal disease to set in. One dental solution for missing teeth is dentures. Click here to learn more about dentures. 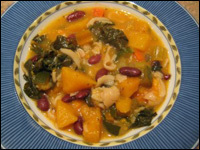 There’s just something so great about getting cozy with a warm bowl of soup or stew. By the end of the day, after trudging through the snow, you’re tired, but there’s still dinner to be made… That’s the beauty of the one pot meal, not only are they warming and delicious, they’re pretty easy too!